By the end of the War, as we have seen, India was ready for a constituent assembly and her leaders were demanding one. Gandhi expressed the truth first - that Indians must shape their own destiny, that only in the hands of Indians could India become herself, when in 1922 he said that Swaraj would not be the gift of the British Parliament, but must spring from ' the wishes of the people of India as expressed through their freely chosen representatives '. 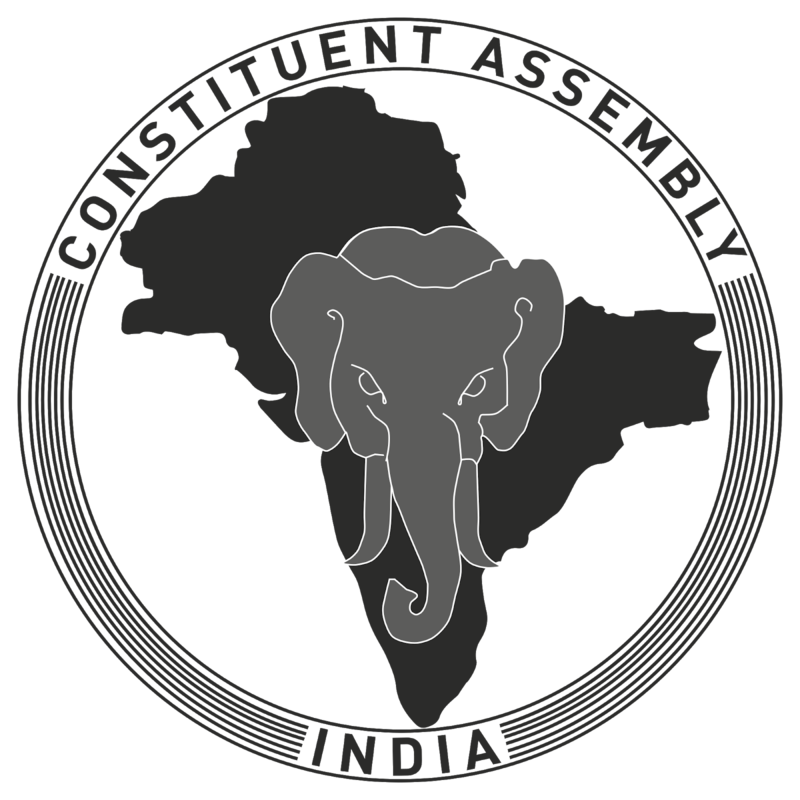 The demand for a constituent assembly became a part of the official policy of Indian National Congress in 1934. Refusing to accept the White Paper (The Proposal for Indian Constitutional Reform, of 1933) , because it did not express 'the will of the people of India ' , the Congress Working Committee stated : The only alternative to the White Paper is a constitution drawn up by a Constituent Assembly elected on the basis of adult franchise or as a near it as possible , with the power , if necessary , to the important minorities to have their representative elected exclusively by the electors belonging to such minorities . Thereafter, in many provincial legislative assemblies and in the central legislative assembly in 1937, at the Congress at Faizpur , Haripura , and Tripuri , and at the Simla Conference in 1945 , the Congress reiterated that India could only accept a constitution drawn from the people and framed 'without any interference by a foreign authority ' . During the World War II, the mood of the Indian people became increasingly one of self- assertion, of a readiness to take its destiny into its own hands. By the time of independence, an acute observer wrote, Indians had ' a general awareness of of nationality and national dignity '. The Indian public felt itself a corporate unit and felt itself adult. In such a mood, even more previously, Indians would accept only a constitution drafted by themselves. As a result, in December 1946 a constituent assembly which ' derived from the people, all power and authority ' was convened. It prospered and ultimately provided Indians with an ' Indian-made' constitution. And its indigenous nature has been the major reason for the Constitution's success. Indians have been less likely to fault the Constitution and more likely to view it with pride, both because they did themselves create it and because, having written it themselves it was better suited to their needs. The Constituent Assembly was, in effect, a one-party assembly, in the hands of the mass party, the Indian National Congress, yet it was representative of India, and its internal decision make process was democratic. The leaders of the party who were also the most important members of the Union Government and of the Assembly, were charismatic in their appeal and thus possessed immense power.